So I have waxed enthusiastically about sama, korra, kodo, ragi, and other millets grown in India. Readers in the US have asked, how can we use local grains? What can I do with the millet available in the grocery stores? And: what kind is the millet available in the grocery stores in the US? And is it as wonderful for our people and planet as all the millets we hear about in India? Does it live up to the motto of The Cambridge Food Co-op? Proso is well adapted to many soil and climatic conditions; it has a short growing season, and needs little water. The water requirement of proso is probably the lowest of any major cereal. It is an excellent crop for dryland and no-till farming. So it is good for the farmer and great for the land. Is it good for us? Of course! Millet helps us diversify the grains in our diet and is rich in minerals, fiber, antioxidants and vital micronutrients. I called the Whole Foods Market in Mount Washington and asked what kind of millet they stocked in the bulk section. The manager did not know and said, “it is just millet.” I explained that around the world there were many kinds of millet such as Barnyard, Proso, Foxtail Millet, to name a few. I was not sure which ones were commonly sold in the US. “Well that would be like telling someone who asked you what kind of cheese you had, that it was just ‘cheese'” I replied. 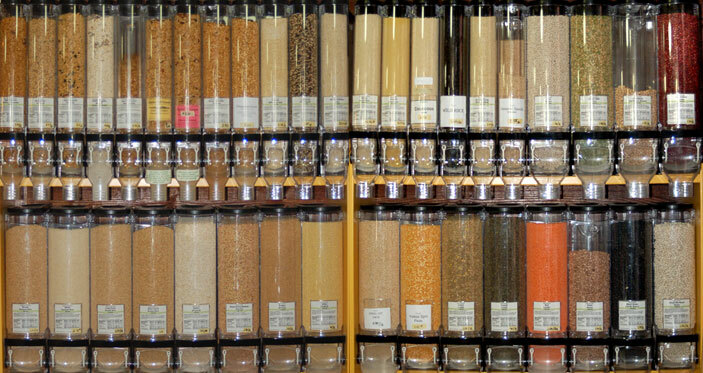 “We order our millet from UNFI,” the Whole Foods manager explained. “Next time I place an order I will ask them and get back to you.” Stay tuned. According to the Bird article it is Yellow Proso but I would like to see what she finds out, and especially whether it is possible to get more than one kind. Next I talked with Madison at To Your Health, the company from which I bought my sprouted millet flour. He didn’t know what kind of millet they sold either but after a little investigating, he called me back and said that the millet they sold was White Proso Millet grown in the western part of the US. Though the name may be White Proso, it is yellow in color and makes lovely golden brown waffles. I explained that many Ask Amma readers, who were familiar with the varieties of millets grown in India wanted to know about what kind of millet was available in the US and how they could use it. “Now is there anything I should know about millets and why they are so popular?” he continued. “I have been wondering why were selling so much!” he said with a smile that I could hear across the phone lines. 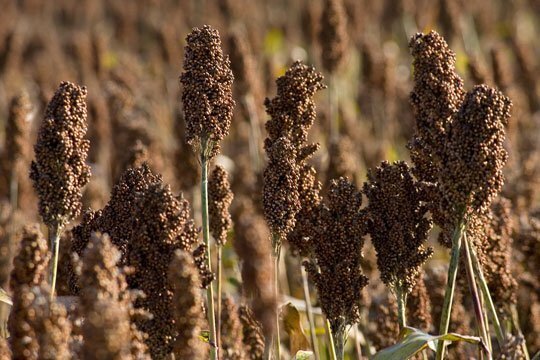 Proso millet is often planted as an emergency cash crop for situations where other crops have failed, been hailed out or were never planted due to unfavorable conditions. 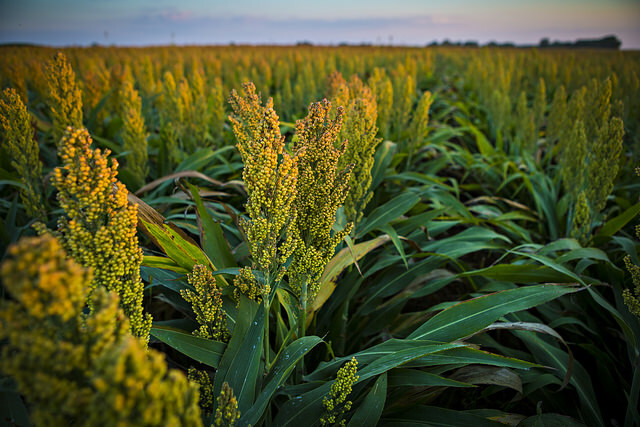 Proso millet may also be beneficial in a crop rotation. In a rotation, it has the advantage of enhancing weed control, especially with winter annual grasses in winter wheat. Proso is versatile in that it can be successfully grown on many soil types and is probably better adapted than most crops to “poor” land, such as land with soils having low water holding capacity and low fertility. Need I hear more? The revolution will be made of millet! But how? Of course some people simply use millet in lieu of rice or cracked wheat and make upma, pulao, pulihara and other rice-based meals as usual. Recipes for millet pancakes, waffles, muffins and other American standards call for special ingredients such as arrowroot, amaranth or tapioca along with the millet. While there are a huge variety of dishes one can make with millet and other local grains, I wanted some basic foods in which I could easily replace rice or wheat with the local variety of millet, which in the US seems most likely to be proso millet. This way I could start right now and not wait for some special occasion. So here especially for you are two dishes I have rustled up in the past two days, using millet grown in the USA. For the idlis, replace half or all of the rice with millet. You can use the same batter to make dosas. For the waffles, replace half of the whole wheat flour with millet flour. Stay tuned for recipes. Idlis made from proso millet and urad dal. Served with pulihara avakayi. Millet-wheat waffle topped with blueberries. We from India cultivating Foxtail millets and Quaiona, can find the Buyers from US and other countries. Where are you? What is the volume you are looking to sell? Where are you selling currently? Where do we get millets in usa? Larger grocery stores as well as natural food stores usually carry millet. Grocery stores with a bulk section are likely to carry it. In Maryland I got it at MOM’s, Wegmans and in Whole Foods. Ask your local grocery store or supermarket. If they don’t have millet on the shelf they may be able to order it for you. If you want more specific suggestions, please let us know where you live. All the best! I tried popping the Millet from while foods and made powder like hurihittu. It was so bitter , not palatable. hi!buying millets in indian grocery store is very expensive.where can i get them in bulk in u.s stores? Call your local natural food store and ask if they can get it for you in bulk. 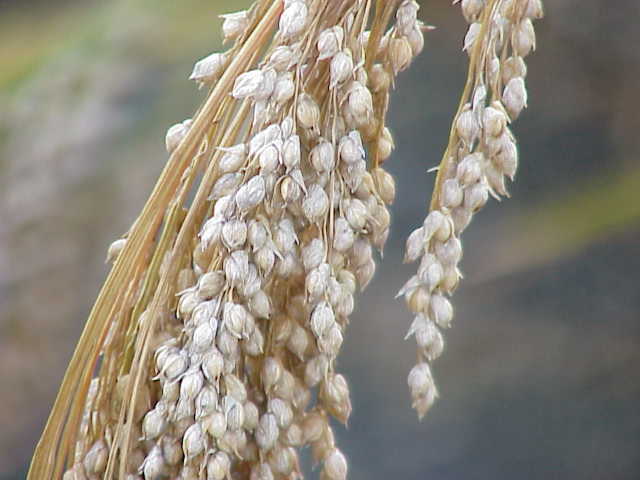 Different regions of the US have different millet but the most common is proso millet. Where do you live?